Castle Bethlehem and the Jeruzalem country estate lie slightly to the north of Maastricht in the Kanjel basin, part of the Maastricht-Meerssen zone of country estates. Castle Bethlehem, and its accompanying castle garden, is currently being used by the Hoge Hotelschool, Maastricht. 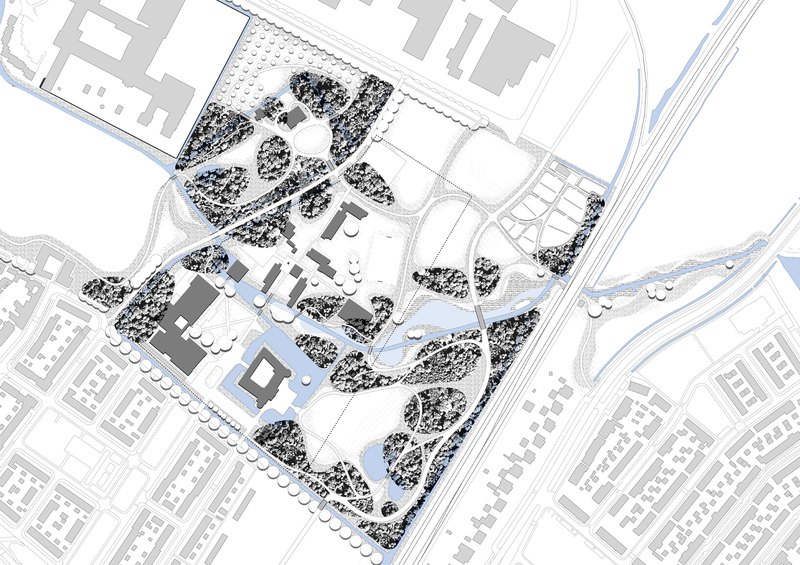 To give the area back to the city’s inhabitants, Bureau B+B was asked to design a landscape park that meshes the castle garden and the country estate with the surrounding neighborhoods. The castle garden and country estate have fallen into disrepair. They will be renovated and partially expanded. 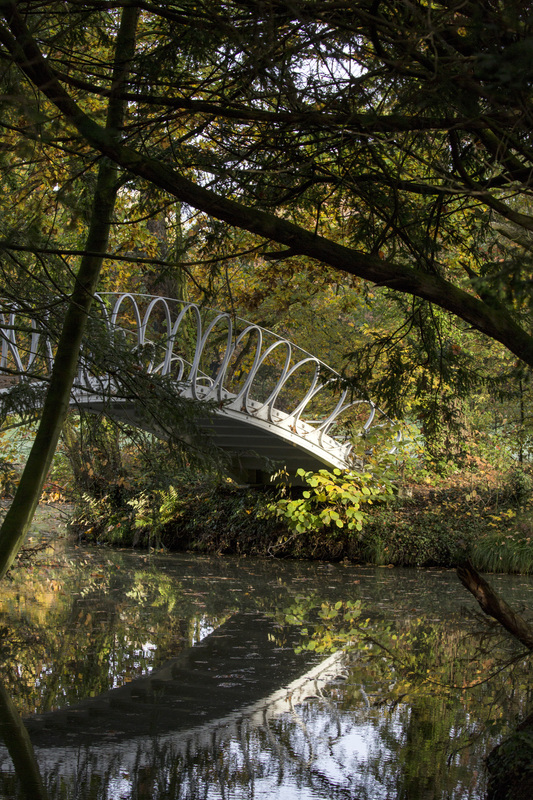 The Kanjel, its name means drain in Limburg, is a valuable man-made watercourse with all the qualities of a stream. It once provided water for the canals and agricultural fields. 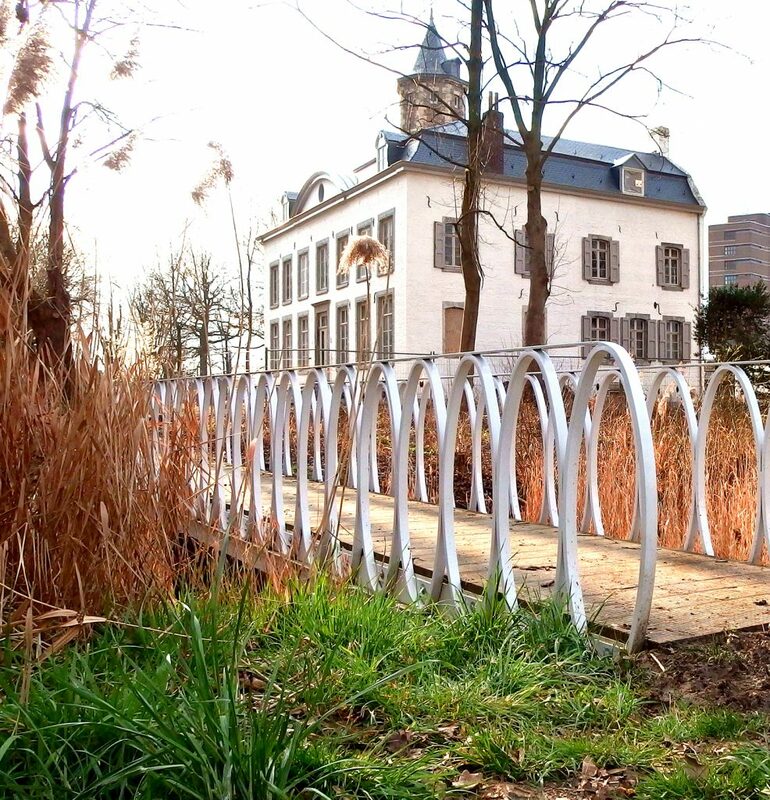 In the design, the Kanjel is used as the unifying element in the castle gardens that collectively form the landscape park. The area will be opened and connected with the regional bicycle and footpaths giving the Kanjel a prominent place in this landscape. An orchard, organic vegetable gardens and urban agriculture will stimulate those in surrounding neighborhoods to use the park. Kanjel Landscape Park is composed of two historic gardens along the Kanjel. The paths weave through the gardens and extend into the landscape of the Kanjel creating a variety of routes. It will become a prominent element in the landscape but its location will remain unaltered. A playfully oscillating structure carved into the earth around the Kanjel will give it the space and the attention it deserves. This excavated stream links the elements of the landscape park. The zone is multi-functional where it will be used as wet, grazed pastures and consequently used for water storage or as a buffer zone. The wild Kanjel path that accompanies the stream presents the entire zone of country estates from the Maas to Meerssen along the way. The paths make various connections and have a clear hierarchy; they connect the castle garden and country estate with the districts of Limmel and Nazareth and simultaneously connect the garden to each other. The network of paths can be expanded in a later phase to link the two districts with Beatrixhaven, the new regional station. The curved paths in the castle garden continue through the landscape park. These routes offer exciting views and vistas over the fields, along the Kanjel and of the castle towers in the vicinity. The local products grown in the fields, in the organic vegetable gardens and the orchard are sold in the Jeruzalem country estate store or used in hotels in the neighborhood. There are wonderful views over the fields from the artificial mounds along the Kanjel that also function as places for the sheep to shelter. 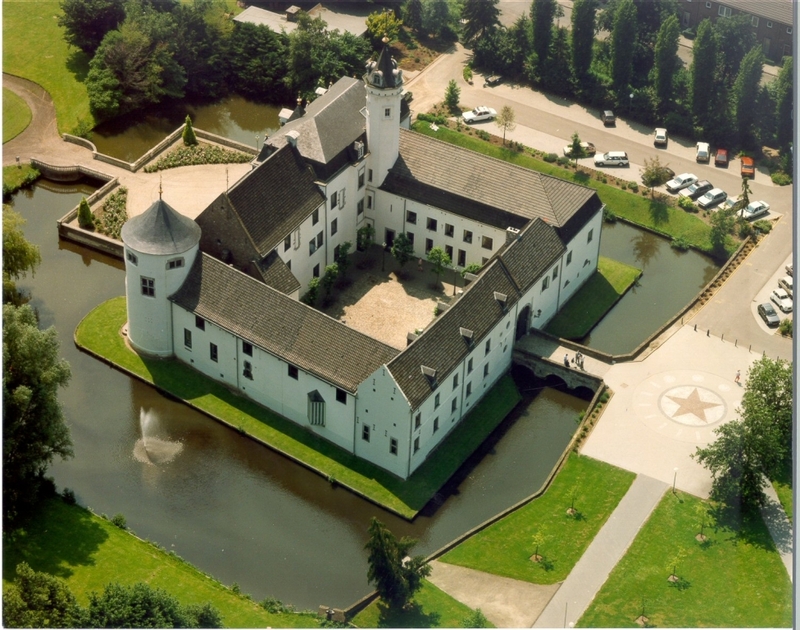 Castle Bethlehem’s castle garden will become part of the main connection linking Limmel, the Hoge hotelschool and the proposed location for a multi-functional building to the regional station. The power line that currently cuts through the park will be placed underground and the garden will be restored. Existing, often monumental clusters of trees will be re-established and redesigned to create dramatic vistas in the garden and exciting paths from the main route to the castle. The reflecting pond in the central space becomes the focal point around which the rest of the castle garden will be built. Country estate Jeruzalem’s stately character will be restored, and its garden expanded and opened to the public. The garden will connect Limmel to the country side in Jeruzalem’s coach house and to the new orchard at the back of the country estate. The presence of the Kanjel and the moats around the castle and the country estates place water as an important component in the experience of Kanjel Landscape Park. Multiple routes cross the water at various places continue over a family of bridges. 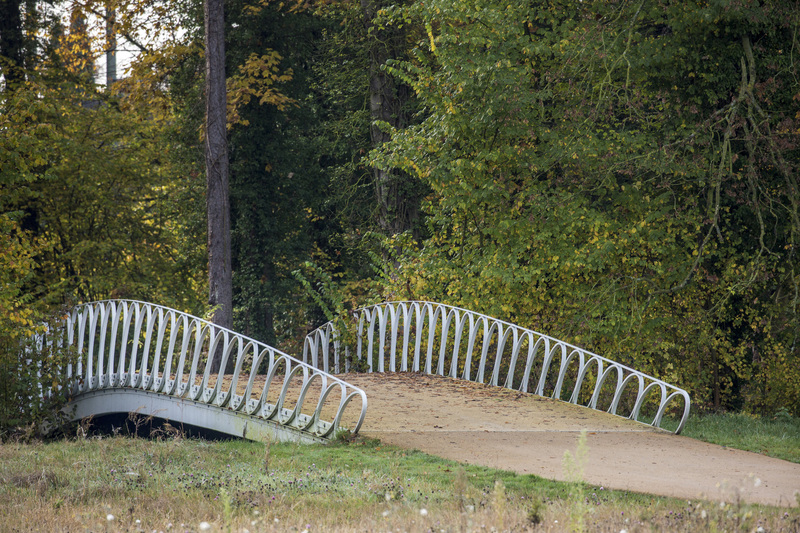 The design of the bridges is inspired by local ‘discoveries’. 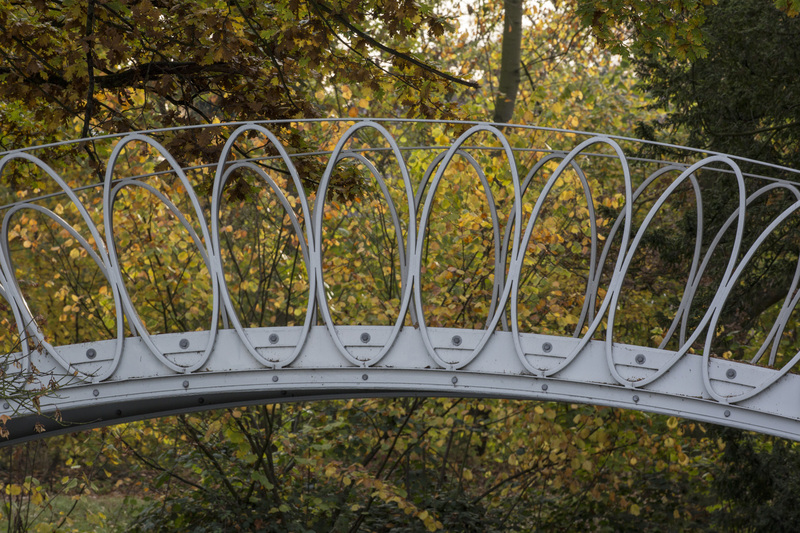 The bridges are the architectural gems of the area and vary from tall and dramatic to some asymmetrically curved. These are the places where the landscape feels interconnected and as one, the same as a park.